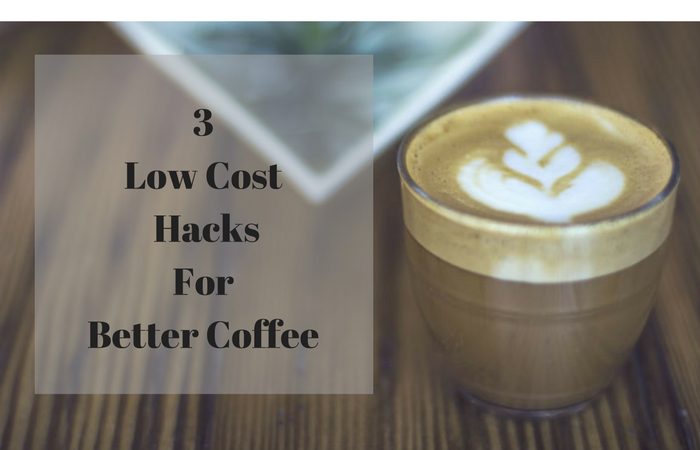 3 Low Cost Hacks For Better Coffee - Nisbets Australia Blog - Industry news, trends, recipes and more! Adding a little twist to your food and drink is an easy way of making sure that anything you serve complements the individuality of your restaurant. With these simple and cost effective extras, you can add that extra touch to your service that will be noticed and appreciated by your guests. Chocolate is extremely versatile and has the ability to change the look and feel of almost any drink or meal. With just a few simple pieces of equipment and some chocolate, you can quickly and easily create your own chocolate monograms. Melt your chocolate in your preferred way. You can do this with a bain marie, a microwave or a dedicated chocolate melting pot. Decant the runny chocolate into your piping bag. Cut a hole in the end of the piping bag. Too big of a hole and the chocolate will spill out. Too small and you’ll have to force out the chocolate. Start small and gradually make it bigger. You’ll know when you’re at the perfect size. Draw your chosen shape onto a piece of baking paper or acetate. You can print off a sheet of shapes and slide it under the sheet you’re piping the chocolate onto so you can trace the outline with no need for any artistic talent. If you pipe fast you’ll end up with a smoother more professional looking shape. Heat your chocolate as hot as you can without burning it – This will give you a chocolate that pipes a smooth line. If you whip your cream in-house then this is another really easy trick. Like the others, you can do this all year round. Cream has a habit of absorbing any aroma or flavour it comes in contact with. Luckily, you can use this to your advantage. In a kitchen, it’s common practice to infuse milk with a flavour over some heat, but the heat can be damaging if you want to serve freshly whipped cream. By omitting the heat, you can still achieve results that are tasty, it just takes a little longer. Aromatic spices like vanilla or cinnamon work really well for this, but you could also be more adventurous and flavour the cream with something like sticky toffee pudding for a more interesting and complex taste. Just take your cream, pop it in an airtight container (or keep it in the one it came in if it’s resealable) and add the spice or food you want it to absorb the flavour of. Seal it up and let it sit overnight in the fridge. By the morning, the cream will have taken on a tasty hint of the flavour and it can be strained, ready for whipping. Hazelnut coffee can be enjoyed all year round and it can be achieved in a couple of different ways. You can add a hazelnut syrup to a coffee or you can flavour the coffee during extraction with whole hazelnuts. None of the two methods is particularly difficult, but each technique is better suited to different types of finished drink. For drinks that use a lot of steamed milk like a latte, cappuccino or flat white, your best bet is to add a squirt of Monin hazelnut syrup. Don’t worry though, it’s easy to assume that syrups are crammed with harmful additives and heaps of unnecessary sugar but this isn’t true with Monin. Their hazelnut syrup contains no fat, no cholesterol and no artificial preservatives. Drinks with less or no milk can really benefit from the addition of hazelnuts. It’s a gentle but noticeable flavour that’s definitely worthy of a spot on your drinks menu, and making it is easy. All you have to do is add hazelnuts to your ground coffee. Grab some whole hazelnuts and grind them up. This can be done in a coffee grinder but it will taint the flavour of future coffee and they’re a nightmare to clean. An easier option is to pop them in a spice grinder and grind them to a consistency that’s similar to your ground coffee. Just mix two parts ground coffee and one part ground hazelnut and add the mix to your filter coffee machine for a blend with a rich and creamy hint of hazelnut. Which Country Makes the Best Catering Equipment?